Come join us to learn (or perfect) the fundamental skills and techniques of forming beautiful words using only analog implements on paper. Whether it is with fountain pen or ballpoint or even pencil, and whether it is applied to a simple grocery list or a personalized note for someone special, fine penmanship adds grace and elegance to your handwriting. Develop your individualized style… because you never know when you might suddenly be stricken with the desire to write your very own Declaration of Independence. 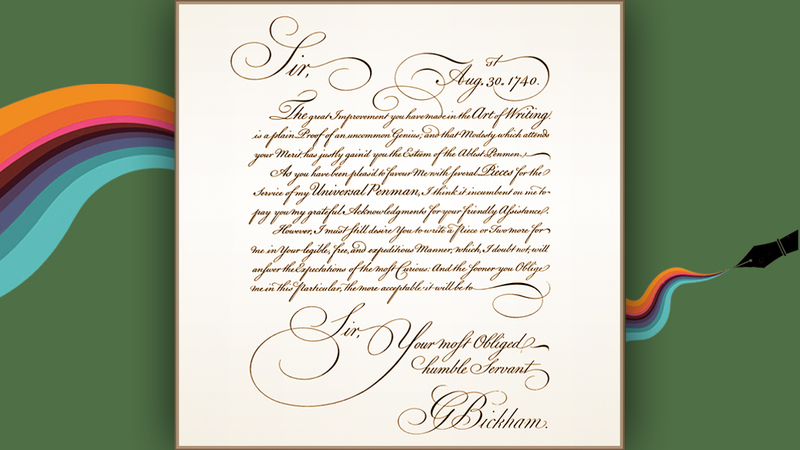 Not only does Cursive compel us to be more thoughtful and deliberate as we write, it also acts as the gateway to the more advanced and ornate Spencerian and Copperplate scripts that may be explored – time-permitting. So, ditch the keyboard! Put away the batteries, charging cords and glowing screens!